News coverage of the meeting of the board of the California stem cell agency was quite light today, focusing entirely on the approval of $68 million in grants. Here are links to the stories and the few news releases put out by recipients. More publicity handouts are likely to surface over the next few days. LOS ANGELES -- The California stem cell agency today approved $68 million in grants for early translational research and left open the possibility that more might be awarded in June. "The 15 early translational grants approved by the board will go to 13 not-for-profit and two for-profit organizations. These grants are intended to either lead to a drug candidate for an unmet medical need or address a bottleneck in the development of new therapies." CIRM has talked about the importance of making grants to business. In this round, Novocell of San Diego, received $5.4 million and BioTime of Alameda, Ca., received $4.7 million. You can see a complete list of the approved applicants here. Twelve additional grants had been recommended for funding by reviewers – if funds were available. But the board decided to put off a decision on those until June in hopes that CIRM will have an improved financial situation. The board took no action on four letters from applicants seeking to reverse negative decisions by reviewers, but it rejected all applications ranked in the bottom tier. You can find the text of the petitions via the meeting agenda. The board additionally approved $200,000 to co-sponsor the annual convention of the International Society for Stem Cell Research in San Francisco during the summer of 2010. John M. Simpson, stem cell project director for Consumer Watchdog of Santa Monica, Ca., supported the move although he was critical when the subject was first broached last December with a $400,000 price tag. Simpson praised as thorough the CIRM staff justification for the expenditure. In other business, CIRM directors approved an evaluation process for the CIRM chair, vice chairs and president – the first such in the four-year history of the organization. The plan stirred debate concerning the composition and chairmanship of a new Evaluation Subcommittee of directors. Some directors objected to permitting the Evaluation Subcommittee, which includes three of the four persons to be evaluated, decide who chairs the panel. Board member Jeff Sheehy, director for communications at the AIDS Research Institute at UC San Francisco, moved to designate the chair and vice chair of the Governance Subcommittee to fill the same positions on the Evaluation Subcommittee. Sherry Lansing, a UC regent and former movie studio CEO, and Claire Pomeroy, dean of the UC Davis School of Medicine, are chair and vice chair of the governance panel. They were key to working out the evaluation process. Sheehy said it was not appropriate for the people being evaluated to have a voice in picking the chair of the Evaluation Subcommittee. Klein, who will sit on the Evaluation Subcommittee, opposed Sheehy's motion although he indicated he was willing to permit the full board to select the heads of the evaluation panel. Sheehy's motion failed on a vote of 5-15 with four self-recusals and two abstentions. Directors Robert Azziz, chairman of the department of obstetrics and gynecology at Cedars of Sinai in Los Angeles, and Carmen Puliafito, dean of the USC School of Medicine, expressed concern about the composition of the committee. Azziz said he wanted to avoid the perception of a conflict of interest. Puliafito said that the membership could give the appearance of "self-dealing." The process was finally approved on an 18-5 vote with one self-recusal and two abstentions. The board will make a decision on the chairs at a later date. The chair and vice chairs of the Governance(Sherry Lansing), Finance (Michael Goldberg) and Legislative(CIRM Chairman Robert Klein) directors subcommittees. The chairs of the IP Task Force(Ed Penhoet) and the Biotech Loan Task Force (Duane Roth, who is also vice chair of the CIRM board of directors). The vice chairs or acting vice chair or co-chair where applicable of the Grants(Joan Samuelson or Sheehy), Standards (Lansing), Facilities (David Serrano Sewell) working groups. Two members appointed by the board but not yet named. The chair (Klein) and vice chairs (Roth and Art Torres)of the board except when they are the subject of an evaluation. LOS ANGELES -- The board of the California stem cell agency last night backed away from endorsing industry-supported federal legislation dealing with biosimiliars, which would be copies of original biotechnological drugs following expiration of patent protection. The board did not go along with its Legislative Subcommittee recommendation to support HR 1548 by Rep. Anna Eshoo, D-Palo Alto, which is favored by the Biotechnology Industry Organization. The subcommittee took no position on a rival bill, HR 1427 by Rep. Henry Waxman, D-Los Angeles, which BIO opposes. Instead of endorsing the Eshoo measure, the board voted to seek development of a statement of principles that it would like to see in any such legislation. That statement could come up before the full board during a telephonic meeting May 12. Robert Price, who sits on the board as an alternate for UC Berkeley Chancellor Robert Birgeneau, questioned the value of CIRM taking any position at all on the legislation. "Do we really matter that much? I think we don't. Let's not engage in hubris here." A number of other members of the board spoke both on behalf of the legislation and the need to protect businesses that put up the cash to develop new drugs. Board member Ed Penhoet, former president of Chiron and a member of the National Academcy Sciences Board on Science, Technoloogy and Economic Policy, said the two pieces of legislation deal with the balance between the cost of therapies and the cost of innovation. He said it was "the most important issue in health care today." "There will be no drugs unless we protect the people who take the risk." "You can't have accessibility unless you have something to access." John M. Simpson, stem cell project director for Consumer Watchdog of Santa Monica, Ca., characterized the push for CIRM to become a player in Congress as a "little bit of mission creep." In other business, CIRM communications chief Don Gibbons previewed the agency's new website, which he said should be up in a few days. He said it was designed to offer more information that will be better organized and accessible. CIRM officials also officially confirmed for board members the news on the California Stem Cell Report that the agency's financial woes are over for some time. The agency will receive $505 million from the recent state bond sale. However, cash will get tight again by the end of 2010 unless CIRM raises more funds through the sale of state bonds. In light of the good financial news, the board indicated that it wanted to reconsider its one-year delay in a training grant program. That topic is expected to come up in June. Additionally put off was an update on CIRM grantee progress report monitoring. Earlier a CIRM official had said said grants would be pulled because of a lack of progress, but he did not say when that would be announced. Also on the board agenda last night were applications for $60 million in grants, including four petitions to overturn negative recommendations from reviewers. However, that was put off until this morning along with a request for $200,000 to co-sponsor the annual convention of the International Society for Stem Cell Research. Another item scheduled to be acted on today is the performance evaluation process for the Chairman Robert Klein, President Alan Trounson and Vice Chairs Torres and Duane Roth. It is the first time the CIRM board has officially promulgated publicly an evaluation procedure for the positions. But until recently the chair and vice chairs did not receive compensation. Roth has declined a salary, but Torres is receiving one. California's top fiscal officer wants to see posted on the Internet the statements of economic interests and travel and other expense forms of the top officials of the state's $3 billion stem cell agency. Controller John Chiang, who chairs the committee that oversees CIRM's financial practices, will soon call a meeting of the panel to discuss how to implement the postings. Chiang's plan would cover the 29-member CIRM board of directors, its executive staff and the members of the financial practices panel, which is officially called the Citizens Financial Accountability and Oversight Committee (CFAOC). Chiang's move follows the lead of Gov. Arnold Schwarzenegger, who posts his top staff's economic interest statements and expenses on the Web. On April 2, we wrote about governor's postings and recommended the practice as something to be emulated by CIRM. Internet publication of CIRM's information came up April 14 at a meeting of the CFAOC. Ruth Holton-Hodson, deputy controller for health and consumer policy, was filling for Chiang, who was ill.
"The public is naturally very concerned about transparency, especially in these times when it comes to spending public dollars and potential conflicts of interest that might arise." She noted that Chiang will be offering online the financial information for himself and his staff. Posting the information serves the public well. But it is also healthy for CIRM, an agency that is riddled with built-in conflicts of interest, perhaps more so than any other state department. The CIRM board of directors is dominated by folks from the institutions that have been the chief beneficiaries of CIRM´s largess. As of last October, 18 institutions with representatives on the board (past and present) had received $552 million in CIRM grants. More has been awarded since then. This week the CIRM board is expected to approve an additional $60 million in grants, most of which is likely to go to institutions connected to board members. Board members cannot vote on grants to their institutions, but the entire board sets the rules under which the grants are made and establishes the priorities for spending the billions of dollars. If you are interested in the proposed NIH regulations for hESC research and California's reaction to them, put a May 7 meeting of the California stem cell agency on your calendar. Not long after the CIRM directors Legislative Subcommittee Monday approved creation of a task force on the subject, a meeting with teleconference locations in San Francisco, Elk Grove, Los Angeles, Healdsburg and Duarte was scheduled for next week. Specific addresses can be found on the agenda. The board of directors of the California stem cell agency on Wednesday will discuss newly strengthened legislation to push stem cell research training and education into California public schools. The bill, SB 471 by Sen. Gloria Romero, D-East Los Angeles, and Senate President Pro Tem Darrell Steinberg, D-Sacramento, will now require state schools to establish and promote as a state priority a stem cell and biotech education program. Previously the legislation said such an effort "should" occur. The bill is now dubbed the "California Stem Cell and Biotechnology Education and Workforce Development Act of 2009." It is supported by the BIOCOM industry group and opposed by the California Catholic Conference. CIRM has not yet officially taken a position on the measure, but has been working with the measure's authors. The measure was added Monday afternoon to the board's agenda for its meeting that begins today in Los Angeles. Remote, interactive teleconference locations for the meeting are available in Sacramento, Pleasanton and at Stanford. Specific sites can be found on the board's agenda. The bill is now before the Senate Education Committee, where it is certain to be approved on Wednesday. The legislation is likely to move easily through the Senate because the top Senate leader, Steinberg, is one of the authors. For those of you unable to be personally present at the Tuesday and Wednesday meetings of the board of the $3 billion California stem cell agency, you can hear and participate in the proceedings from remote locations in Sacramento, Pleasanton and at Stanford. The specific locations can be found on the agenda for the meetings. The remote access is being provided for the convenience of board members whose schedules make it difficult for them to attend the meetings in Los Angeles. The practice began a few months ago to help avoid the problem of mustering the super-quorum needed for the CIRM board to officially do its business. Also available is an Internet audiocast of the proceedings – one-way only. No participation is permitted via the audiocast. You can find details of how to gain access to the audiocast here. A key group of directors of the California stem cell agency this morning moved to create a task force to study and comment on the proposed NIH rules for human embryonic stem cell research. The Legislative Subcommittee of the CIRM board of directors voted 7-0 to proceed with the work on the NIH rules, which have drawn fire from scientists in California. The action now goes to the full board for expected approval at its meeting Tuesday and Wednesday in Los Angeles. CIRM plans to consult with institutions, scientists, the public and others in developing an analysis and recommendations on the NIH rules by May 24. Meetings of the task force are expected to be conducted in public. The CIRM board will hold a telephonic, public meeting on the final CIRM document, according to CIRM Chairman Robert Klein. CIRM will also work with the Interstate Alliance on Stem Cell Research in developing its proposal. The alliance previously scheduled a May 5 meeting in Washington, D.C., which could provide a venue for exploration of the issues, said Geoff Lomax, senior officer for medical and ethical standards. Following the 7:30 a.m. meeting today, CIRM posted background material and other information on the issues on its website. They include a comparison between the NIH guidelines and CIRM regulations and an intial assessment of the impact of the NIH proposal. "Our conclusion from this preliminary analysis is that the consent protocol for some lines does not include all items identified by NIH in its eligibility criteria, suggesting some scientifically significant lines may not qualify. All lines evaluated were derived from balstocysts created for reproductive purposes but no longer required for family planning." "The draft policy sets ' high bar' for consent and disclosure. There are concerns that established cell lines may not meet the proposed standard. Substantial foundational research has been performed utilizing established lines. NIH should consider a 'grandfathering' clause or other mechanism that enables continued use of established lines. NIH should give consideration to whether a particular line was derived in accordance with consensus guidelines or the legal requirements at the time of consent or derivation." "Further, experience suggests there may be uncertainty to whether specific cell lines conform to every requirement of the draft guidelines. This uncertainty may result in qualifying lines not being utilized. There was broad consensus that a registry of compliant lines would be the most efficient method for identifying lines and ensuring promising research materials are not unnecessarily disqualified." "For grantee institutions the promulgation of NIH guidelines raises question related to the implementation of grants where a mix of funding is involved. For example, one institution identified the case where research involves a comparative analysis of multiple hESC lines. It is conceivable that such a study could involve lines not recognized or approved by every funding source. Harmonization of rules, to the extent allowed by law, would be desirable from this grantees perspective." "As the largest funder of human embryonic stem cell research in the world, CIRM has an interest in ensuring that the NIH rules are consistent with CIRM’s medical and ethical standards, which were modeled upon guidelines adopted by the National Academies of Science, and with the best interests of science and patients." The NIH announced its proposed new rules only 10 days ago. CIRM completed its preliminary analysis last Friday. However, the actually posting of documents relies on a state department that does not work during the weekend. The Legislative Subcommittee also voted to support 6-0 with one abstention (Jeff Sheehy) a federal bill dealing with biosimiliars, which are copies of the original biotechnological drugs following the expiration of patent protection. The San Francisco Chronicle this morning carried a stout defense of the NIH's proposed rules for human embryonic stem cell research just hours before the California stem cell agency is scheduled to debate the proposal. The proposed regulations, opposed by some scientists in California, were endorsed Jesse Reynolds of the Center for Genetics and Society of Oakland, Ca., in an op-ed piece in the Chronicle. Reynolds said the proposals were thoughtful and the "right thing to do." He said that that barring federal funds for cloning-based stem cell research would help to prevent creation of a technical foundation for reproductive cloning, which "continues to tempt rogue scientists." The CIRM directors Legislative Subcommittee is scheduled to take up the NIH proposal at 7:30 a.m. PDT today. The agency has only posted a cryptic agenda item on the subject and has not offered to the public any analysis of the regulations or a rationale for why CIRM should take a position on the federal plan. "We at CIRM headquarters want to send you some reassuring news regarding CIRM’s finances and our plans to continue a full and robust research portfolio. This week the California State Treasurer successfully sold $6.85 billion in bonds, more than twice the amount originally sought by the treasurer. This vote of confidence by the investor community is good news for CIRM, our grantees and all the patients in California and elsewhere we seek to serve. The San Francisco Weekly, which produced a thorough overview of CIRM earlier this month, today picked up our report on the $505 million cash infusion that is expected to bail out the California stem cell agency. "CIRM spokesman Don Gibbons said he could not confirm (David) Jensen's figures, because the agency has received nothing in writing from the state treasurer. However, Gibbons said CIRM 'has indications' that the report is accurate and hopes to make a definitive announcement at a board meeting next week in Los Angeles. Jensen quoted Robert Feyer, bond counsel to the treasurer's office, as confirming that $505 million was set aside for CIRM and would be available next Tuesday." John Robson, CIRM vice president for operations, made the statement April 14 at a meeting of the Citizens Financial Accountability Oversight Committee, a five-member panel chaired by state Controller John Chiang, California's top fiscal officer. The committee is is charged with assessing CIRM's financial practices. Robson's remarks came as part of a general response to questions about risk assessments by CIRM. "....(W)e get annual reviews, progress reports and our science officers go through those. And it's not a perfunctory exercise. They go through these things quite carefully. If there's things they don't understand or if it doesn't look (like) there's been much progress, they call up the PI (principal investigator) and they say, 'What's going on? You know, we've seen these experiments being done. What's your progress?' And then we work from there. "If it turns out that there's no progress, we can cut the grant. I suspect that's going to happen. Some people are going to lose some grants." Ruth Holton-Hodson, deputy controller for health and consumer policy, raised the questions about risk. She chaired the meeting in the absence of Chiang, who had suffered a foot injury, and said she brought up the matter on his behalf. The Citizens Financial Accountability Oversight Committee is not to be confused with CIRM's Independent Citizens Oversight Committee, which is the 29-member CIRM board of directors. Chiang, a Democrat, is a statewide elected official. He was given the role of chairman of the financial accountability committee by Prop. 71, the ballot measure that created CIRM. The California stem cell agency, once on its way to running out of money by next fall, is now slated to receive $505 million as the result of the sale this week of $6.86 billion in state bonds. "I can confirm for your readers that the large state bond issue which was priced today (total of $6.855 billion) includes $505 million for the stem cell program. This money will be available next Tuesday, when the transaction closes." CIRM Chairman Robert Klein is likely to discuss the impact of the funding at next week's board of directors meeting in Los Angeles. Feyer said that a "good portion" of the bond cash is expected to go for facilities grants. It is not clear whether CIRM will give up its plan to market state bonds privately. The California stem cell agency has posted the reviews of grant applications for $60 million for early translational research that will be awarded at next week's meeting of CIRM's board of directors in Los Angeles. Ten grants are scheduled to be approved by directors. However, grant reviewers have given the okay to 15 totaling about $68 million. If the directors want to stay within their original budget, they will have to take the rare step of rejecting a positive decision on grants by reviewers. The grants that have won reviewer approval include proposals dealing with cartilage regeneration and osteoarthritis, Alzheimer's, Parkinson's and macular degeneration. You can find the reviews here along with their scores. The names of the applicants have been withheld by CIRM, but the identities of some may be discerned from the reviews by persons familiar with stem cell research. Also now available on the directors' agenda is a side-by-side comparison of two federal bills dealing with biosimiliars, which are copies of the original biotechnological drugs following the expiration of patent protection. Directors are expected to be asked to take a position on the measures, but they will first be discussed Monday morning by the Legislative Subcommittee. One of the bills, HR 1548, by Rep. Anna Eshoo, D-Palo Alto, is supported by the Biotechnology Industry Organization, which opposes a rival bill, HR 1427 by Rep. Henry Waxman, D-Los Angeles. It would be interesting to know whether CIRM's $240,000, federal lobbyist, the Podesta Group, is lobbying for or against either one of the bills. Next week's meeting of the board of directors of the California stem cell agency can be heard on the Web via an audiocast, but it will not be available through a dial-in connection. CIRM said interested parties should enter conference ID# 997897 then click go. For the Wednesday session, use the same procedure beginning at 8:30 a.m. The general procedure at CIRM board meetings is go over the grants on Tuesday, but other business is often taken up. CIRM Chairman Robert Klein is likely to open with a statement. CIRM President Alan Trounson could also make his report, including his take on the latest stem cell research in the news. Much to its credit, the California stem cell agency Tuesday posted a dandy backgrounder on its recommendation that CIRM directors next week approve $200,000 to assist the International Society for Stem Cell Research with its convention in San Francisco in 2010. The document is a far cry from the original request in December that sought $400,000 but did not provide any justification or explanation. This week's document is a good example of the type of information that CIRM can provide that assists in meaningful public participation in the agency's activities. "All of these benefits will be continuous reminders to the attendees, including the leading stem cell scientists in the world, that California drives the field and is an attractive, vibrant location for academic researchers and biotech companies. As new funding opportunities become available for stem cell research elsewhere, California cannot rest on its laurels, if it is to attract and retain the best scientists and companies. We think that conference co-sponsorship is a valuable means to enhance those efforts." "If the meeting were to be held outside California, the increased travel costs alone for 500 attendees could easily exceed $250,000, much of which would have to be paid with CIRM grant funds." We wonder about that assertion, largely because we were not aware that CIRM grants provided for travel and participation in the annual conventions of the ISSCR. This year's meeting is in Barcelona. One would think that financing international jaunts is not necessarily an appropriate use of taxpayer funds unless it can be very explicitly tied to the purpose of the grant. Total cost of the San Francisco meeting is an estimated $1.5 million. CIRM is also helping out in arranging for the no-cost use of Moscone Center for the meeting and the rotunda at city hall for a reception. The value of those contributions by the City of San Francisco is placed at $125,000. CIRM's proposed $200,000 contribution would go for travel expenses for organizers and speakers ($50,000) and conference services, publicity and publications ($150,000). CIRM said the $200,000 should be taken from privately donated funds, which now total $3.4 million. That would be a good PR move, helping to ease any criticism of the expenditures. Nonetheless, the money is still public money. It became that when it was donated. John M. Simpson, stem cell project director for Consumer Watchdog of Santa Monica, Ca., publicly criticized the earlier CIRM moves to assist with the meeting. We have not heard from him yet on the latest proposal. CIRM staff provided the breakdown and detailed justification for its recommendation as the result of requests by CIRM directors in December. Directors of the California's financially troubled stem cell agency are likely to receive a bit of good news one week from today as they meet in Los Angeles to give away $60 million for projects to push stem cells into the clinic. CIRM has been suffering from a cash crunch, but today the state of California is going to market with as much as $4 billion in taxable bonds. CIRM is on tap to receive a good chunk of that, probably enough to keep it from running out of funds by this fall. The bond sale is not mentioned in the formal agenda, but Chairman Bob Klein will certainly discuss it along with his plan to sell state bonds privately on behalf of the $3 billion enterprise. "...are designed to move promising basic research in stem cell science toward the clinic. These awards will support two categories of projects including research that: 1) results in a development candidate that meets an unmet medical need; or 2) addresses a significant bottleneck in the translation of stem cell biology that hinders advancement of effective, novel cell therapies to the clinic." The topic of the awards could trigger general discussion of the direction of CIRM and its strategic plan, although the plan is not on the agenda. CIRM President Alan Trounson may bring it up during his report to the board. CIRM's direction recently came under review in a piece in the San Francisco Weekly that was headlined "Stem-cell stalemate: The push for cures may produce only disappointment - or worse." Also on tap is the proposed co-sponsorship of the 2010 San Francisco convention of the International Society for Stem Cell Research. The latest price tag for that is $250,000, down from $400,000. CIRM has said it will help the group raise $150,000, a move that drew some fire from John M. Simpson, stem cell project director for Consumer Watchdog of Santa Monica, Ca. Also on tap are evaluation procedures for CIRM's chair, vice chair and president along with consideration of two pieces of federal legislation and the proposed NIH rules for human embryonic stem cell research (see "CIRM and the NIH"). As usual, CIRM has not provided any links or background information on all these issues on the agenda on its web site. That means that the public is hard pressed to determine the significance of the cryptic listings of matters to come before directors of the world's largest source of funding for human embryonic stem cell research. Without some frame of reference, interested parties – be they business, academic or otherwise – find it difficult to determine whether their enterprises are being affected. Although Klein has repeatedly pledged to adhere to the highest standards of openness, CIRM's chronic failure to post background material in a timely fashion demonstrates the bankruptcy of that pledge. CIRM and the NIH: A Stand on the Proposed hESC Rules? Directors of the California stem cell agency next week will take up the proposed NIH regulations for human embryonic stem cell research that have triggered dismay among some scientists in the state and elsewhere. The topic is on the agenda of the CIRM directors' Legislative Subcommittee meeting one week from today and then it comes before the full board the following day or two at its Los Angeles meeting. "This mostly moves the line in the sand from 2001 to 2009." "We still desperately need CIRM and private funding,"
"'I am really, really startled,' said Susan L. Solomon, chief executive of the private New York Stem Cell Foundation. 'This seems to be a political calculus when what we want in this country is a scientific research calculus.'" Generally, however, the proposed NIH rules received mild or better praise in most of the stories that we have seen. Jesse Reynolds of the Center for Genetics and Society in Oakland, Ca., wrote on his organization's blog, Biopolitical Times, that the NIH "got it right." He said the regulations are "consistent with his (Obama's) campaign promises, consistent with public opinion, and draw lines in a way that will allow promising research to go forward while preventing potential abuses." It was clear, however, that the NIH rules are very much a product that was based on a reading of public opinion about stem cell science, a fact that was mentioned in several stories. "During the campaign last year, Mr. Obama said he supported 'therapeutic cloning of stem cells,' a policy his administration rejected Friday. A White House spokesman, Reid Cherlin, said the president 'directed N.I.H. to formulate the best method for moving forward with stem cell research, both ethically and scientifically,' in an independent process." CIRM's decision to place the regulations before its directors raises some interesting questions. What does CIRM have to gain by entering this particular fray? Failure to oppose them will alienate some influential researchers and perhaps their parent institutions. Supporting the rules could be regarded as institutionally self-serving and as an attempt to justify the continued existence of CIRM, whose origins were based on former President Bush's restrictive policies. Some of have argued that CIRM is now irrelevant, given Obama's moves and the changing nature of stem cell science. However, it is hard to see how $3 billion in research funding could be considered irrelevant by anyone. The NIH is certainly not going to fund all the fondest desires of even those who qualify under its proposed rules. Also on next week's CIRM agendas are other federal matters that could place CIRM in the middle of a pharmaceutical war. Up for consideration by CIRM directors are two Congressional bills involving biosimiliars – HR 1427 by Rep. Henry Waxman, D-Los Angeles, and HR 1548 by Rep. Anna Eshoo, D-Palo Alto. The Biotechnology Industry Organization does not care for Waxman's bill, declaring that it "would jeopardize patient safety and undermine future medical breakthroughs," according to Patricia Van Arnum of Pharmatech.com. Waxman, of course, thinks differently. "Biotech drugs, while often life-saving, are the fastest growing and most expensive components of the nation’s prescription drug bill." BIO favors Eshoo's bill, according to Van Arnum, declaring that it balances "the need to increase access, lower costs, ensure drug safety and promote continued biomedical breakthroughs." The Legislative Subcommittee meeting will have teleconference access available 7:30 a.m. next Monday at seven locations: two in San Francisco and others in Portola Valley, Menlo Park, Elk Grove, Healdsburg and La Jolla. You can listen in and participate from those locations. If you are unable to attend, you may submit a statement by sending it to info@cirm.ca.gov. The full board meeting does not have interactive teleconference access, but it may be available via the Internet and a phone line audiocast. It was the first known public comment by a member of the board of directors of the California stem cell agency on onetime vice presidential nominee Sarah Palin. The occasion was a tour of stem cell lab facilities at UC San Francisco and the Gladstone Institute involving House Speaker Nancy Pelosi, according to an account by reporter Carla Marinucci in the San Francisco Chronicle. Pelosi was asked about comments by Palin, attacking President Obama for his support for hESC research. Pelosi stoutly defended the research, declaring, "We need science, science, science, science, science." Torres said that Palin's comments were "very disappointing...because it's such a blatant campaign move." "He said she was 'playing to the crowd' for a 2012 run, but hasn't offered any alternatives to the major advances that might be made in biomedical research." The NIH's proposed hESC regulations were hardly off the presses today before they came under fire from an eminent stem cell researcher for flying in the face of President Obama's March proclamation on stem cell research. 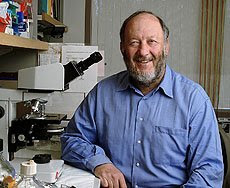 Irv Weissman(pictured), director of stem cell research at Stanford, took on the NIH in a news release from the Stanfod School of Medicine. "Instead of facts, the NIH placed its own version of ethics in place of the president’s clear proclamation. As head of the National Academy of Sciences' panel that unanimously endorsed research using SCNT, and as a drafter of the guidelines for the International Society for Stem Cell Research, I know that this suggested ban on federal funding of SCNT-derived human embryonic stem cell lines is against our policies and against President Obama’s March 9 comments. The NIH has not served its president well." "'I am happy that these are draft guidelines,” said Weissman, who noted that the NIH did not solicit input from either the National Academy of Sciences or the International Society for Stem Cell Research during the consensus process. 'I’d like to remind the NIH of the principles enunciated by the president on March 9. Research in this area is moving very fast, and it’s not possible to say whether advances will come from work on adult-derived iPS cells or from embryonic stem cells created by nuclear transfer. Policy needs to be developed as the field develops, rather than precluding something based on ideology.'" "Cloning-based stem cell research lays the technical foundation for human reproductive cloning - which the U.S., unlike dozens of other countries, has not yet prohibited - and requires enormous numbers of human eggs, whose extraction poses health risks to women. Despite years of work, no researcher has created a clonal human embryo viable enough to yield stem cells," said Jesse Reynolds, policy analyst at the Center. "In contrast, alternative methods of cellular reprogramming have largely achieved the goals of cloning-based work. The NIH was wise in leaving such risky work outside the domain of federal funding." The California stem cell agency today said that the proposed NIH regulations for human embryonic stem cell research are "largely consistent" with the state regulations, although CIRM will be able to fund projects that would be barred from federal funds. "The conditions required by the NIH are largely consistent with requirements CIRM has developed for derivation performed by our grantees, according to Geoff Lomax, senior officer for medical and ethical standards. 'For our grantees working with lines derived under CIRM standards, these regulations open the door to broader sources of funding, expanding important research in California,' Lomax said. "Lomax said that under both sets of guidelines, researchers hoping to use a particular stem cell line must prove that the couple who donated the embryo knew that they would not personally benefit from the work, that they would not benefit from possible commercial applications of the cells, and that they could not place restrictions on the type of research performed with the cell line, among other conditions. He added that CIRM may need to make a minor revision to its regulations requiring that couples be specifically informed of all options for disposing of their excess embryos before donating to research. "Lomax added that there are important avenues of research funded by CIRM that are prohibited under the draft regulations. These include the creation of new stem cell lines, and any work with lines created through nuclear transfer (sometimes called therapeutic cloning) or parthenogenesis, in which the egg is stimulated to begin division without fertilization. "'CIRM remains a critical source of funding in California for work that is not eligible for funding by the NIH but that has important scientific value,' Lomax said. For example, embryonic stem cell lines created through parthenogenesis are genetically identical to the donor and could be an important source of stem cells for therapies." Rays of economic hope were scattered through two stem cell/biotech conferences this week in the San Francisco Bay Area – one focusing on industry and one more oriented towards academe. The BayBio industry group sponsored one meeting in South San Francisco that attracted 700 participants, according to David Morill's account on InsideBayArea.com, a Web site for six daily newspapers in that area. "We've had a couple of companies shut down, but overall there is definitely a guarded optimism here. There is a lot of focus this year on partnering and venture marketing." No one from the mainstream media wrote about the other affair so the University of California presented its version online in an article by an unnamed author. UC reported that 320 researchers, biotech execs and money folks attended the April 15 meeting hosted by the UC Office of Technology Transfer and the British and Canadian consulates. One speaker, Gregory Bonfiglio of Proteus Venture Partners, said the commercial market in regenerative medicine will grow to $118 billion next year compared to $3.6 billion last year. UC took pride in pointing out that it has snagged $420 million out of the $694 million that CIRM has handed out in research and construction grants. The university did not mention that 11 of the 29 members of the CIRM board of directors, which sets both the rules for grants and awards them, have links to the University of California. "The biggest contribution UC is making to this new stem cell economy is in advancing basic research and training, said Steven Beckwith, vice president of research and graduate studies in the UC office of the President, who delivered one of the keynote speeches at the forum. "'There are now avenues where stem cells can be used for therapeutic remedies, but they're limited,' Beckwith said. The real potential won't be realized until we understand the fundamental mechanisms behind these cells. That's the strength of university research.'" San Diego's Sanford stem cell consortium is buoyed by the latest assurances that it will receive $43 million from CIRM to assist with its new research lab, but it still needs to borrow as much as $65 million more, the San Diego Union-Tribune reported today. "For months, the state could not sell bonds to support voter-approved projects such as the stem cell institute because it did not have an approved budget. And some lenders questioned whether the fiscally challenged state could make good on its promise to provide the consortium's funding. The escrow account should address those fears, said Louis Coffman, the consortium's vice president. "UCSD Chancellor Marye Anne Fox also welcomed the news. “We are happy to learn that we are now one step closer to building an important new stem cell research facility for the Sanford Consortium for Regenerative Medicine, which will enable researchers from the University of California San Diego, the Salk Institute, the Burnham Institute and The Scripps Research Institute to more effectively collaborate to find cures for some of the world's most devastating diseases,' Fox said." "'Now we can go to the market and say there is no risk associated with the California money,' Coffman said. "To raise the rest of its financing, the consortium has selected Barclay's Capital as its investment banker to underwrite a bond offering, Coffman said. "The underwriter typically agrees to buy a certain amount of bonds, and then sell them to investors on behalf of the consortium. "The consortium has also applied for funding from the federal stimulus package, which would be administered through a grant from the National Institutes of Health, Coffman said. Any stimulus money received would reduce the amount of funding the consortium would have to raise through the bond financing, he said." Somers reported that ground has not been broken on the project, which raises questions about whether the consortium can meet the CIRM completion deadline. The labs were to have been finished within two years, according to a CIRM news release May 7, 2008. Jim Till, a member of the board of the Cancer Stem Cell Consortium in Canada, runs a blog called the Cancer Stem Cell News. Most of it appears oriented towards nitty-gritty research, but occasionally he picks up other types of information. Today he linked to the San Francisco Weekly piece on CIRM with an acknowledgement that he found it via the California Stem Cell Report. Till carried a paragraph from the Weekly's story but otherwise offered no comment. Till's blog is a good example of how news and information originally targeted for a geographically small audience can rocket around the world, courtesy of the Internet. With the waning power of the print media and its TV and radio cousins, the Web is increasingly likely to be a key information source on relatively specialized topics such as stem cell research – more so than general news. The conduct of stem cell research would not have been high profile news even during the golden days of newspapers. Less so now and in the years to come. The delicate interface between science and business has come a cropper again. The latest set-to involves the National Human Neural Stem Cell Resource of Children's Hospital of Orange County Research Institute and Stem Cells Inc. of Palo Alto, Ca. John M. Simpson, stem cell project director of Consumer Watchdog of Santa Monica, Ca., Wednesday provided a summary of the dispute. He reported that Philip Schwartz, head of the Resource, said his organization's efforts to promote research with human neural stem cells has been effectively blocked by patents held by Stem Cells Inc. The entire story can be read on Simpson's organization's blog along with a response from Stem Cells, which said it did not control actions by the Resource. The situation reminds us of a book, "Science Business," by Harvard business professor Gary Pisano, published a couple of years ago. He has studied and consulted with the biotech industry for decades and has written about its consistent lack of profits. He suggests that part of the problem lies in the "monetization of IP" and inappropriate application of high tech industry IP principles in the biotech industry. "Science and business work differently. They have different cultures, values, and norms. For instance, science holds methods sacred; business cherishes results. Science should be about openness; business is about secrecy. Science demands validity; business requires utility. So, the tensions are deep. "What has happened is that we have tried to mash these two worlds together in biotech and may not be doing either very well. Science could be suffering and business certainly is suffering. If you try to take something that is science, and then jam it into normal business institutions, it just doesn't work that well for either science or business." Stem Cells Inc. was founded by scientists Irv Weissman of Stanford, Fred Gage of the Salk Institute and David Anderson of Caltech. "You would have thought that with academic heavyweights like these involved with the company it would have been a no-brainer to figure out a way for Schwartz to distribute cells he has derived from CHOC patients to qualified researchers. "The root of the problem is the Bayh-Dole act governing federally funded research. It has turned our universities into commercial entities where scientists rush to patent their discoveries rather than rush to publish and explain them." We are querying Weissman, Gage and Anderson about their thoughts on the general issues raised by Schwartz along with the specifics. Simpson's piece was the result of a notice by Schwartz to about 2,700 persons, mostly academics, about the patent issue. Simpson sent out a note to about 75 journalists nationwide about his item. The Capitol Weekly newspaper in Sacramento today identified three men with close ties to California stem cell issues as among the top 50 political players in the state. The list included Eli Broad, Richard Blum and the man behind CIRM's Sacramento lobbying firm. The rankings did not include elected officials, such as the governor, who is a good friend of the California stem cell agency. Ranked No. 5 was Broad, the Los Angeles billionaire businessman who has funded stem cell research at UCLA, USC and UC San Francisco with tens of millions of dollars. In the 2007-08 election cycle, he spent nearly $1 million on political efforts. "If money talks, then everybody listens to Eli...," the newspaper reported. Ranked No. 6 was Steve Merksamer of the firm of Nielsen, Merksamer, Parrinello, Mueller & Naylor, which is the Sacramento lobbyist for CIRM. Merksamer was one of its founding partners. The firm has been on retainer with CIRM since the agency's earliest days and currently has a $49,200-a-year contract with the agency for its services, which CIRM coyly describes as "public education." Capitol Weekly said Merksamer is "is one of the state’s most influential political-legal players. His 16-lawyer firm is involved in a myriad of political issues and dispenses legal advice and political strategy to a national and international big-business clientele." Ranked No. 14 was Blum, chairman and president, Blum Capital, a major equity investment management firm. Blum is a University of California regent as is Sherry Lansing, a member of the board of directors of CIRM. Blum is also the husband of Democratic U.S. Sen. Dianne Feinstein. Blum Capital Partners purchased $1 million in bond anticipation notes to help fund CIRM in 2006. The list of 50 is the first installment in a Top 100 count, with more "influence peddlers, power brokers and political players" to come next week. "Stem-cell stalemate: The push for cures may produce only disappointment - or worse." Written by Peter Jamison for the San Francisco Weekly, the lengthy and thorough-going article explored the promise of California's $3 billion stem cell research effort and how it measures up. Jamison focused on CIRM's move towards pushing therapies into the clinic and away from basic stem cell research. The article appeared in a free newspaper that reports 100,000 weekly circulation with 500,000 monthly readers and 1.5 million page views (presumably weekly) on its Web site. "Many in the medical community, while paying lip service to the optimism of 2004, acknowledge the very real possibility that people suffering from the incurable conditions typically associated with stem cells — not just Parkinson's or diabetes but Huntington's disease, multiple sclerosis, and HIV/AIDS, among others — will not see a therapy or cure from the state's $3 billion investment." "In short, the question is whether CIRM should become an agency that pays tens of millions of dollars to alleviate arthritis while research languishes on Huntington's disease or multiple sclerosis. This approach could go a long way toward addressing the more serious safety concerns voiced by some scientists. It is also a remarkable detour, by any standard, from the ambitious medical goals that drove Prop. 71. It is difficult to overlook the irony of a situation in which state officials, seeking to deliver on the promises of a ballot initiative intended to overcome the Bush administration's supposed limits on the advance of science, turn for their salvation to research Bush never restricted in the first place. Will California voters accept such a momentous policy shift?" 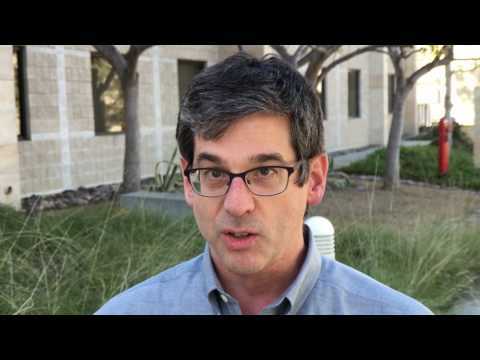 Jamison interviewed a wide range of scientists including those at CIRM. He quoted Arnold Kriegstein, director of the Eli and Edythe Broad Center of Regeneration Medicine and Stem Cell Research at UC San Francisco, on the risks of CIRM's turn towards the clinic. "The likelihood of something going wrong is pretty high. Something like tumors are probably going to happen. This is an area where the risks are great. The public has to be prepared." Marie Csete, chief scientific officer at CIRM, took another view. Jamison wrote that "she was quick to counter suggestions that the agency's new funding priorities would put patients in danger." "'It's just a ridiculous idea that we're not putting safety first....This field is moving very quickly toward clinical application. There's no question in my mind, and it would be silly for us to say that we have to solve every single problem before we proceed to transplantation' of cells into humans." "'You will always garner respect by saying, 'Slow down. More science is necessary....Somewhere out there there's got to be compassion for those patients who are dying. I would go so far as to say that inaction is killing people. The views of ultraconservative scientists are killing people.'" "'We all want the same thing — we want to see regenerative medicine work....Although there's $2 billion [of CIRM money] left to give out, that's actually a very small amount of money. Now, if that's all spent on clinical trials that don't tell us anything because they don't work, that's a missed opportunity.'" "There's no way to hop over this basic biology." "'If we are going to say that we're going to work with adult stem cells, we can be in the translational phase and the clinic now,' says Sheehy, who is communications director for UCSF's AIDS Research Institute and represents the interests of HIV patients to the board. 'While they're going to be of benefit to a great many people in California, these adult-stem-cell approaches are probably not going to have a big impact on these severe degenerative diseases that really motivated a great number of people to support Prop. 71, like Alzheimer's, Parkinson's, spinal-cord injuries.'" Many of the issues addressed by Jamison are part of the current review of the CIRM strategic plan. The agency last month conducted two public hearings on plan and its proposed changes. You can find the transcripts here under the topic "interested persons meetings." The latest version of the plan may well surface at the CIRM directors meeting April 28-29 in Los Angeles. "Whatever the voters who supported Prop. 71 think of the use of their money to support adult stem-cell cures for relatively pedestrian ailments, they would almost surely be angered if the ballot initiative's billions of dollars have bought, after a decade, only a sheaf of much-lauded studies in the journal Cell. "Even angrier, no doubt, would be the people who suffer from the diseases stem cells might one day cure. Their voices, more than any others, persuaded a majority of the state electorate to support Prop. 71." "I just hope you encourage your readers to read the entire article and not just the negative snippets you choose to use." We certainly hope that you all take a look at Jamison's piece, which airs, in a very public way, some important scientific and policy questions that have not yet been widely examined in California. Your comments are invited on this and any other topics. Click on the word "comments" below to send them in unmoderated. Anonymous comments are permitted. The California stem cell agency today received some good financial news from the folks at an obscure state entity called the Pooled Money Investment Board. The board, which operates out of the state treasurer's office, renewed a $295 million loan to CIRM and approved $43 million in additional funds from the board, according to Tom Dresslar, spokesman for Treasurer Bill Lockyer. One unconfirmed report had it that the $43 million was destined for stem cell lab construction in the San Diego area involving the Sanford consortium (UC San Diego, Salk, Scripps and Burnham). We queried CIRM on the matter, and spokesman Don Gibbons said the money would improve the agency's cash flow. Later Gibbons explicitly said the money would go to the Sanford project. If the board had not renewed the loan, it would have weakened CIRM financially. But CIRM remains in dire straits unless it gets significant help from the upcoming state taxable bond sale. The Pooled Money board manages state cash flow and provides interim financing for state and local projects while they await bond proceeds. Legislation designed to make stem cell education a part of California's state public school curriculum will be considered on April 29 by the state Senate Education Committee. The measure, SB 471, cites the California stem cell agency and its research efforts as the impetus for for the proposal. 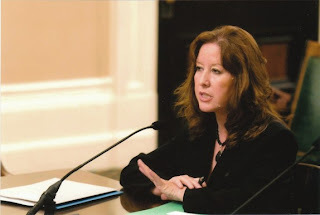 The bill by Sen. Gloria Romero, D-East Los Angeles, and Senate President Pro Tem Darrell Steinberg, D-Sacramento, says that the state Board of Education as well as the community colleges, the state college system and the University of California "should collaborate to help CIRM advance its education initiatives." The Board of Education controls matters in grades kindergarten through 12. Romero (pictured) heads the Senate Education Committee. Her bill was discussed at a meeting of the CIRM directors' Legislative Subcommittee on March 31. No transcript of the meeting is yet available, but a spokesman for CIRM, Don Gibbons, said recently that no position was taken on the bill, along with another measure aimed at ensuring affordable access to any therapies developed with CIRM-funded research. "They just felt the bills were not sufficiently fleshed out to have a formal position taken." The affordable access bill, SB 343 by Sen. Elaine Alquist, D-San Jose, is a somewhat altered version of a measure opposed by CIRM last year and vetoed by the governor. The bill is now before the Senate Health Committee but no hearing date has been scheduled. Alquist is chair of the Health Committee. "Who knows if the full board will take it up at the end of the month. " The California stem cell agency apparently intends to proceed with plans to privately market state bonds, despite an expected influx of cash from a much larger sale later this month, according to a blog of Nature magazine. Writing on The Niche, Monya Baker reported last week that CIRM is "moving ahead with plans" to sell bonds privately. She sourced her information to Don Gibbons, chief communications officer for CIRM. Meanwhile Time magazine today carried a piece that is not going to make it any easier for CIRM or the state of California to market bonds. "A growing number of analysts and financial planners are raising doubts about the bonds of local and state governments." Most of the time we write about things that affect CIRM. Here is one thing that won't – legislation to freeze salaries of high paid state employees. The measure, AB 53, would impose a two-year ban on raises of about 785 state employees who make more than $150,000 annually. It is now before Assembly Appropriations Committee after winning unanimous approval from the Assembly Public Employees Committee on April 1. The logic behind the bill by Anthony Portantino, D-La Canada, is that well-paid state employees should share the pain of budget cuts affecting children, seniors and so forth. The California stem cell agency has a bunch of folks who make more than $150,000 – too many in the eyes of some critics. However, California lawmakers are politically unable to touch the agency because of Prop. 71, which requires an unprecedented 70 percent, super-majority vote of both houses and the signature of the governor to change state law affecting CIRM. The significance of the legislation concerning CIRM is that high salaries are a red flag issue for the public even though they may be justified. Check out some of the comments on the story in The Sacramento Bee on the measure. Call it stem cell cyberspace – California style. The $3 billion California stem cell agenda has embarked on a major foray into the Internet's social networking scene. It now has a fairly hefty presence on Facebook, YouTube and Flickr – all part of the expansion of its communications and public relations operations. CIRM's Internet doppelgangers represent a creative attempt to use the latest tools to reach a wide audience, including those who might not necessarily tune into the old-fashioned print media. But the Facebook account raises a significant public policy issue: Should taxpayer funds be used for a Web page that explicitly warns that a state agency (CIRM) will censor comments that it does not like? We asked Don Gibbons, the agency's chief communications officer and the man responsible for the cyberspace outreach, four questions about CIRM's policy on "confrontational" posts. "How does CIRM define confrontational? "Is it appropriate for public state agency to restrict commentary on taxpayer-funded scientific and policy matters? "Is such a ban in keeping with the best standards for discussion of scientific matters? "Do you know of any other state agency with such a policy?" "Our policy is essentially the same as yours. The goal of the site is to foster free and open discussion of the science. We will be very conservative in deciding to remove posts, reserving that action for anything that unfairly questions the integrity of our funded researchers or of stem cell science in general. Compare it to you taking down the recent posting about President Obama on your site." Aside from the fact that the California Stem Cell Report is not funded by taxpayers or any business or organization, CIRM misses the point. By warning its Facebook readers that their comments could be expunged, CIRM stifles legitimate commentary about CIRM's operations. It is as if the state began publishing a newspaper and warned the public that it would not print letters from readers or op-ed pieces that it deemed confrontational or unfair. Yes, the Internet is a wild place. People say many rash things in cyberspace, and there is a problem with commentary that can be obscene and racist as was the case in the Obama comment that we deleted from the California Stem Cell Report. But obscenity and racism are a far cry from comments that are confrontational or unfair. How will CIRM handle a comment from a person who deeply believes that hESC research involves the destruction of human life, says something to that effect on the Facebook page and suggests that hESC scientists are baby-killers? How will it deal with a comment that says the CIRM board of directors is riddled with conflicts of interest and the agency should be abolished.? Would the agency allow remarks from the scathing column about CIRM that recently appeared in the Los Angeles Times? Would the agency allow comments from stem cell scientists that suggest it is going badly awry in an endeavor to cozy up to the biotech industry? All of those comments could be considered unfair or confrontational. The problem here is not with the Facebook page. It is with the fact that CIRM is allowing comments to be posted on the page and supposedly encouraging them, but only if they are "correct" in the eyes of some at CIRM. Web sites have been wrestling with the problem of untrammeled commentary since the 1990s. A variety of controls have emerged on private sites. But private Web sites are a wholly different animal than a Web site funded by taxpayers. CIRM should encourage the broadest of commentary on its Facebook page and as well on its main home page. From time to time, it may well have to delete a comment that is obscene, racist or libelous. But it should narrowly define what it would remove. Comments that are confrontational or unfair should not be censored. And comments that question "the integrity of ... stem cell science in general" certainly should be allowed. CIRM can and should rebut comments. That is the value of open dialog, which is paramount to a successful democracy. We welcome comments on this and all other topics, confrontational or otherwise. You can make them by clicking on the word "comments" below. Anonymous comments are permitted. The California stem cell agency's use of Facebook, YouTube and Flickr seems to be relatively novel among state departments. Our web searches did not turn up any other California state agencies with Facebook pages, but given the nature of Internet searches some may, in fact, actually exist. Some state college campuses (Stanislaus, Chico and others) have Facebook pages as does UC Berkeley. Most of the ones we looked at show light activity. CIRM's effort is not the only Facebook page called the "California Institute for Regenerative Medicine." Another, created by Judy Roberson, can be found here, but it appears largely moribund. Another CIRM-related site was started by attendees at a CIRM meeting in 2008 in San Francisco. The CIRM Facebook page does not yet appear to have generated major traffic. Only 55 "fans" are registered, as of this writing. It has been up since at least late February although it was just announced this week. CIRM's YouTube site reports 23 subscribers with 1,705 "channel views" since its inception Jan. 15. (The state has a number of YouTube pages including a state YouTube Channel, which has had only 33,848 channel views since March of 2008.) We could not find viewing numbers on Flickr site. Low usage is normal for early-stage web sites. Driving traffic to a web site is a continuing challenge unless you have a brand name such as the New York Times or President Obama. CIRM's Facebook page compares favorably in terms of usage to the U.S. government's Facebook page, which has only 489 fans but obviously a much larger user base. The content on CIRM's Facebook and the other pages consists primarily of material that can found already on the main CIRM web site. Some links are provided to news stories about CIRM, although none of the stories contained significant critical remarks. The Facebook page does promise both blogs from CIRM staffers and interactivity, with CIRM personnel responding to questions. CIRM's cyberspace efforts seem relatively low cost. But, web pages must be freshened regularly with new content and nurtured with marketing drives to push traffic. Otherwise they whither. In a year or so, CIRM should examine the reader numbers from the sites to determine whether its tiny staff can justify continuing these fledgling endeavors. Cash Crunch Coming to an End at CIRM?